With the adoption of the 2030 Agenda for Sustainable Development it is important to track and assess the contributions of business to the achievement of the Sustainable Development Goals (SDGs). 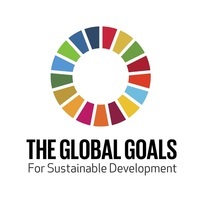 The project Business Contribution to the SDGs - A Student Assessment, was created to engage students in addressing this challenge through research of public documents including company sustainability reports and Communication on Progress Reports (COPs) submitted annually by UN Global Compact company participants. WikiRate provides a platform to spur corporations to be transparent and responsive by making data about their social and environmental impacts useful and available. Researchers, students and others can contribute to the database with data companies report according to leading corporate sustainability reporting frameworks such as the Global Reporting Initiative (GRI) and other metrics recommended in the SDG Compass. As companies currently submit their Communication on Progress (COP) reports and other sustainability reports as PDFs, data points are difficult to access, compare and use for research and performance assessment. This assignment contributes to making this data available to all stakeholders for comparison and learning. This project aims to introduce students to a collaborative research environment where you can contribute to the collection and analysis of data on companies’ performance as it relates to the SDGs. On WikiRate, students (working individually or in groups) can choose to contribute to an existing research projects or design their own. Keep in mind the assignment allows for flexibility in the research and research questions you will ask. You can follow a pre-structured research path (depending on your course requirements) or develop your own. The WikiRate team can support you in the process of creating analyses of your data on the platform through supporting calculated metric set-up. Sign up to WikiRate by clicking the Join button. Add a username (your name, student number etc. ), add your email address and password, then click Submit. The assignment consists of researching one company and checking the research another student has done. The reasoning behind researching one company and double checking another is to gain exposure to the diversity of reports and reporting styles. You may encounter two very straight forward CSR reports, but more likely, you will start to see the different ways companies contextualize and calculate the data provided. This alone will provide insight as well as creating a point of comparison for any reflection or analysis of the data that follows. Global Reporting Initiative (GRI) is an international independent standards organization that helps companies and other organizations understand and communicate their impacts on issues like climate change, human rights and corruption. The GRI standards are the most prominently used reporting standards by companies around the globe. See the newest standard here. Select the companies to be researched and find data sources (CSR reports and UN Global Compact Communication on Progress Reports). We suggest starting by looking through the UN Global Compact’s database of companies here: Advanced reporters and Active reporters; as well as the Global Reporting Initiative’s Sustainability Disclosure Database. Use the Project below to conduct your company research. Add your company to the Project if it’s not already there by clicking on the edit icon to the right of companies to add new companies to the page). As you add answers to the research page, check the metrics’ methodology to make sure you are reporting the data correctly. Every value or data point on WikiRate must have a source. Your source may be found in the UN Global Compact Database linked above, or you can visit the GRI Sustainability Disclosure Database here to search for your company’s report. Either download the report or click link to PDF report to find the correct URL. If you get stuck, watch this short video tutorial on how to add a source to WikiRate..
*Important: WikiRate is a dynamic platform with new information being added and updated. If you come across something you did not anticipate, see if there are ways to adapt. For example - say you have chosen or been assigned a company to research, yet it seems like the data is already complete - check whether there are other years you can research for that company, or if needed, choose a new company. Your ingenuity will help you in learning and adapting to this dynamic research space. Conduct analysis. Analyze company reporting as indicated by your professor and course requirements. This may be a report or presentation including a data analysis and/or qualitative analysis of your work. Congrats you did it! If you want to share your analysis on WikiRate or to conduct data analysis through the WikiRate platform, contact us here. Projects. If you are answering a new research question, you can create a new Project frame on WikiRate and add the set of metrics and companies you’ve chosen to research. This tutorial walks you through how to create a new project. Metrics. To find out more about metrics, browse the Metric page, and read about the definitions of different types of metrics on WikiRate (calculated and researched). Sources. Add a source for research and citation see the tutorial here. Extras. You may export data from a project or metric page for analysis off the platform. Using WikiRate. For trouble-shooting and guidance on using WikiRate. Student research FAQs. Answers to questions frequently asked by students using WikiRate for research for assignments. WikiRate Values & Principles. Community principles are essential for wiki-type sites to function and help to develop communities of knowledge sharing. If you have any questions about the research or there’s something you want to discuss, please start a conversation on the relevant project page. Use the “Add Conversation“ button at the bottom of a project page, or see if there’s already a similar conversation you could contribute to. The WikiRate team will be checking these spaces regularly. Technical support. For reporting bugs. Data research (GRI research best practices). Metric research is not always a question of finding a number and adding this value to WikiRate – different companies may calculate these numbers in different ways or vary in terms of the scope of who/what is covered. It’s helpful to have fellow researchers around to discuss the quality of data and what it actually means. Information about how a data-point was calculated, or the scope of operations it covers, is important to interpreting that value properly. Best practice on WikiRate is to always write down your methods for finding a value and the context where you found it, as a “comment” to the answer you submit (On what page number did you find the data? Is it presented with background information? Did you have to do a calculation to work out the right value?). This creates the background necessary to understand a value, and allows for a discussion around the data-point itself. Discussion: You can use the WikiRate platform to communicate general questions or start conversations around specific topics.